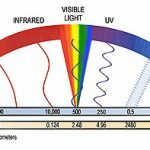 Lighting Science What are µmol (Micro-Mols)? how are they measured? Lighting Science: What are µmol (Micro-Mols)? and how are they measured? Micromoles (µMol), simply defined as ‘number of photons’ are a unit of measurement used for horticultural lighting. Typically, µMol are used as a way to quantify light output (µMol of photons per second) and light intensity (µMol of photons per area per second, commonly called photosynthetic photon flux density). ‘Micromole’ is not an indicator of the spectral quality of a light source (relative amount of blue, green, red, etc. energy), rather it is a collective sum of energy (# of photons) within a band of wavelengths. Many companies measure and advertise the total micromoles emitted from a light source. 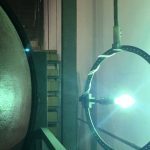 Typical photometric spheres are capable of measuring energy between approximately 300nm and 800nm or even wider bands of wavelength, depending on the sophistication and cost of the sphere. As a result, advertised output of certain lamps (for example 2,200 µMol) in some cases may be misleading as this output rating may include wavelengths that are not useful to plant growth (e.g. 800 nm). 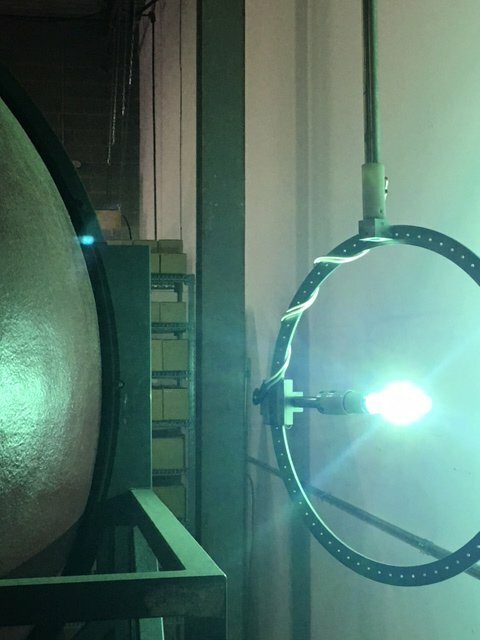 Sunmaster focuses on measuring the micromole output of lamps between 400nm and 700nm, or the edge of near UV (UVA) through the far red region of the spectrum. This excludes measured energy output not useful or even harmful to plants (e.g. far UV and short wave infrared). Note, as an industry benchmark, Sunmaster advertises total micromole output but also lists micromole output between this 400nm and 700nm region. When selecting a light source, µMol output should be considered in tandem with the spectral profile and other design features such as life, lumen depreciation and optical efficiencies within reflector types. Read more lighting science in our Plant Science and Lamp Science sections of this site! Thanks for the kind words, we will continue to offer up as much industry knowledge as we have! !